The medium and large videos are not recommended for modem downloads! Street Dreams by Ross DeMaagd L.L.C.TM has taken steps to ensure the broadest compatibility of these video files, but due to the myriand varations in computer setups, cannot provide technical support for the playback of these files. This hood reversing kit featuring two 200lb actuators, a remote key fob control system, emergency release kit, two arms with pivots on each end, two linear actuator mounts, two gas lifts and other parts needed. We are currently offering a kit that requires the user to make car-specific brackets, and a car-specific kit for early Camaros. The car-specific kit bolts into already existing mount points under the hood. The universal kit may not work in all cars. 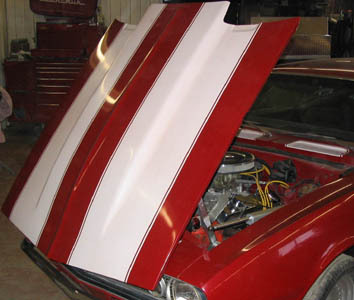 For this kit, the hood needs to be about three feet (1 meter) long or longer and have about a 3" wide x 4" deep x 24" volume on each side under the hood to fit the linkages. This kit for the PT Cruiser includes every part needed to reverse the hood opening, including the linkages, mount plates, reinforcement plates, latches, gas struts, ball studs, screws and even parts to retrofit the windshield washer nozzles. 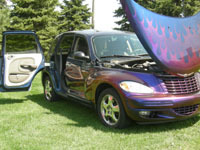 All necessary parts not in the kit are already on the PT Cruiser. This kit is easy to install and requires no welding, painting or other body work. Painting the parts is optional, all mount plates are steel with a durable zinc plating for rust resistance. 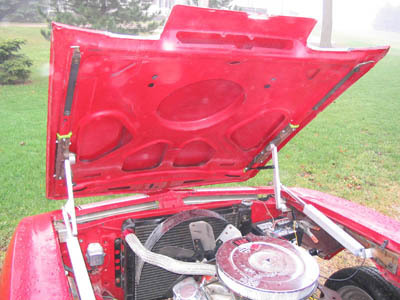 Most of this kit can be installed by one person, except when handling the hood removal or installation, then the help of a second person is recommended. 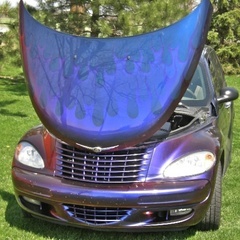 Some changes may be needed for PT Cruisers with non-stock front end parts, particularly aftermarket bumpers and grilles. 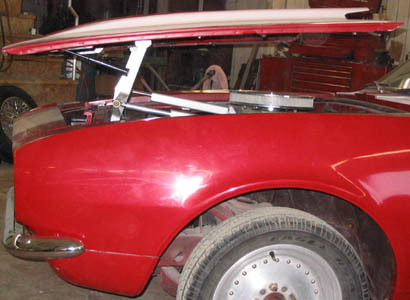 When properly adjusted and secured, the hood can open and close with one hand and no careful guidance force. 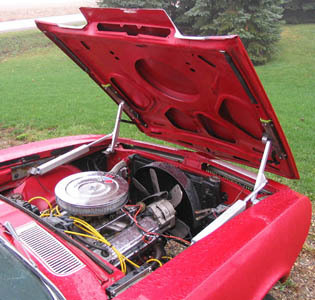 When open, the hood stays open with the force of two high-strength gas struts. The existing windshield washer nozzles can either stay in place, or if the owner choses, the nozzle holes can be �shaved� for a smooth, uninterrupted hood. The included nozzles will attach directly to the wipers.